Download One Page CV Resume Template PSD. 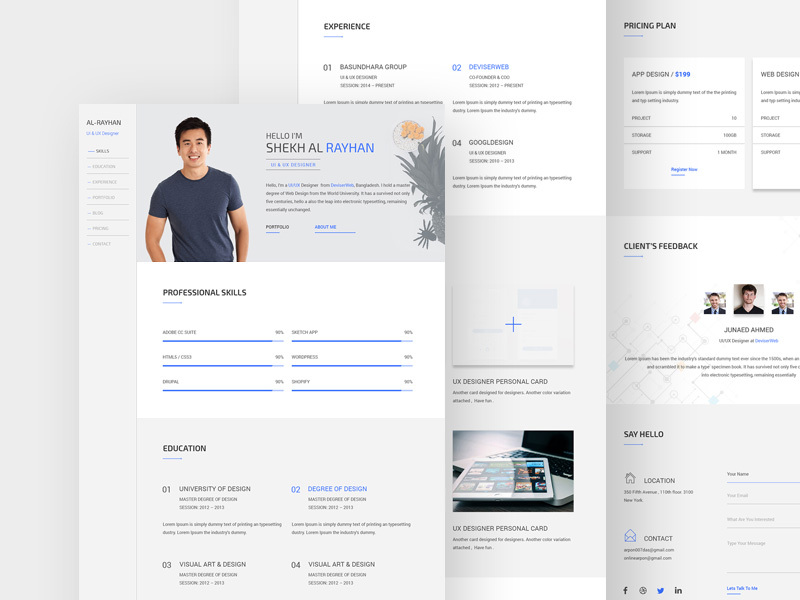 This is Simplistic yet effective one page personal cv/resume template suitable for designers, developers and all sorts of freelancers. You can always use this One Page CV Resume Template PSD as a personal website also. The layers are well organized with proper naming conventions so you can easily modify and change things according your needs. Feel free to use this Free CV Resume Template PSD to showcase your work and portfolio. Hope you like it. Enjoy!